Original List Price $ ? I forgot how long it can take to ship something from the states. But the wait was worth it, all day I have been playing with the new toy, until I couldn't sing anymore. The harmonizer is cool, but not something I think I will use much, but who knows. The pich to MIDI feature was so cool, I sang my JX-3P!!! But it is a useless feature to me. 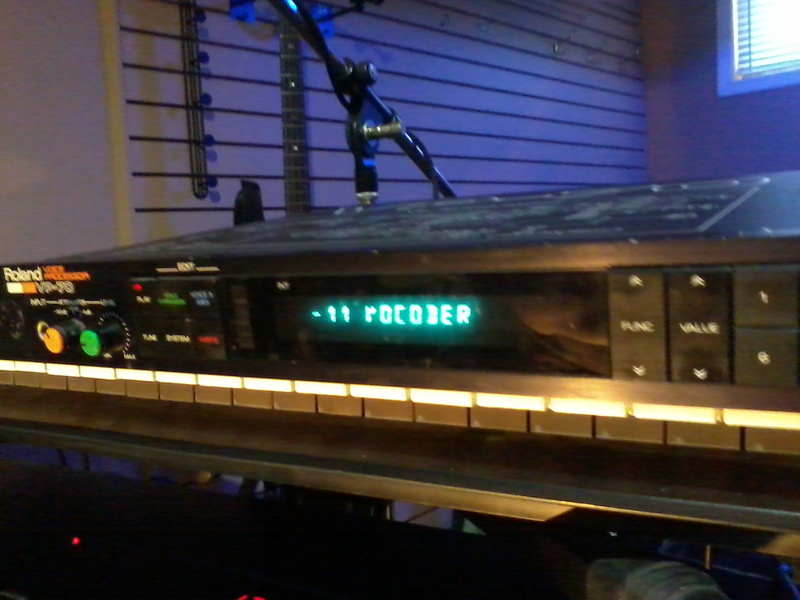 The Vocoder function was what I wanted. It isn't a real vocoder (I knew this from the outset) that mixes your keyboard sound and your voice. 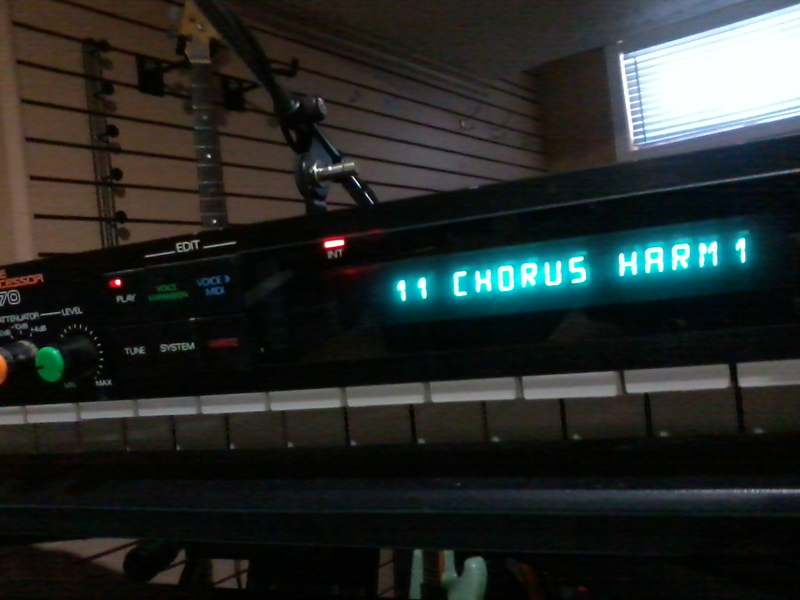 It uses MIDI signals to shift you voice to those notes. After playing with it alot this afternoon, my only (small) complaint would be that there is no volume adjustment for each pitch shifter voice. All I know is it is a super fun toy that I plan on using alot. Nope, that's wrong, there is a volume adjustment for each pitch shifter, but it is alot of fun. Now that I have used it for some time, I notice it does tend to 'get confused' and garble the notes or pick the wrong octave, especially with lots of background sound. So 2 things that will help are, one sing as loud as you can, this will help block out the background sound. The other is try to sing atonal as possible, the more you change your note, the more the VP-70 will try (and fail) to compensate. When it works well, the sound is very cool, and not produced by anything else I have heard. 2016: In rack 2, for the right microphone. There are some other things I really want to experiment with this, but just don't have the time. 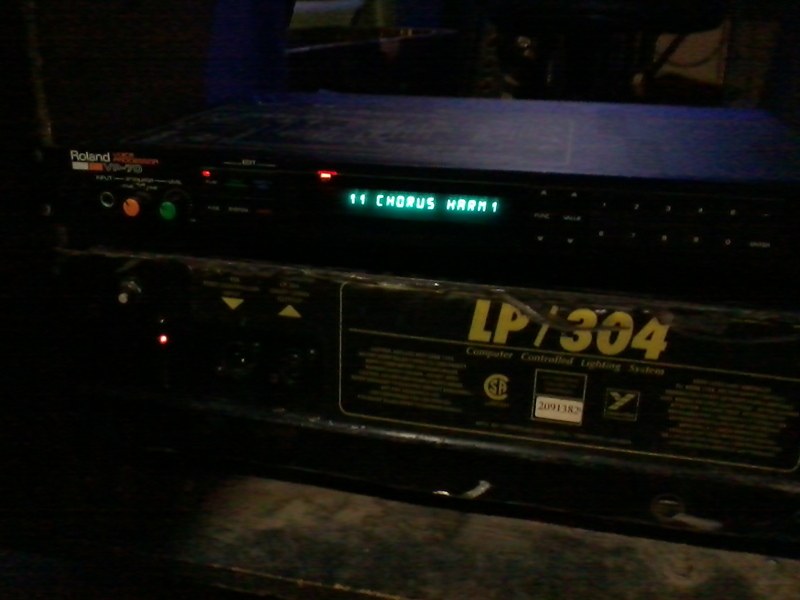 2014: I have set it up in the old rack with the mixer. For now I have only one mic going through it.